awesome and of course bokeh is always a bonus. What striking markings !! Beautiful bird, fine pose, making it a superb shot !! Awesome shot of this lighting fast bird!! Those blue and black feathers are gorgeous. Excellent work! Nice capture of this pretty bird! Great capture of the Nuthatch, lovely detail in the plumage and texture in the wood. Super DoF. Great capture of this Nuthatch! 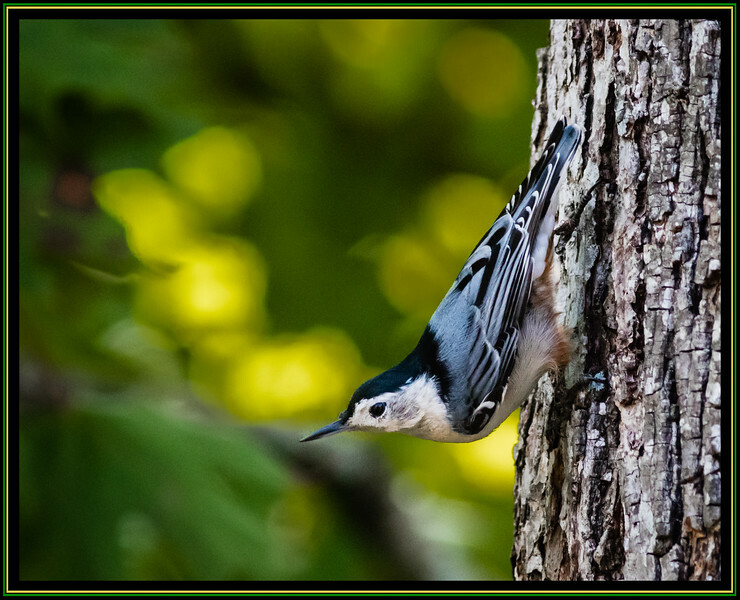 Nice nuthatch shot--they are very quick and not always easy to capture.